What is a Rolling Market? Which Trades Are Subject to Overnight Financing? When is the Overnight Financing Charged? Spread betting, CFDs and margined forex trades are leveraged and therefore when you buy (go long), you are effectively borrowing from us. Likewise, under normal market conditions, when you sell (go short) you are effectively lending to us. Therefore we charge interest (overnight financing fee) on the value of rolling positions that are kept open overnight. Our financing fee is based on the relevant interbank lending rate. 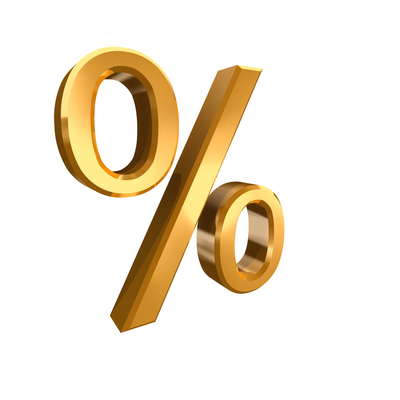 We keep our financing rate low and only charge interest at the Relevant Interbank Rate (RIR) + 2.5% for long positions. E.g. in the UK, the RIR is the LIBOR rate, so if you go long of the UK 100 index we only charge interest at LIBOR + 2.5%. Under normal market conditions, we add a small credit to your account of Relevant Interbank Rate (RIR) - 2.5% for short positions. Also see 'What Happens When Relevant Interbank Rates are Very Low'. If you go short, we are effectively borrowing from you and under normal market conditions the RIR is greater than 2.5%. If the RIR, e.g. LIBOR, is greater than 2.5% then we would credit your account with LIBOR - 2.5%. When the RIR is below 2.5%, as many RIRs currently are, clients are charged a small fee to hold an open short position overnight. This fee is charged at 2.5% - RIR. Overnight financing only applies to Rolling trades, i.e. Rolling Cash and Rolling Spot markets. Overnight financing does not apply to Futures trades because the financing cost is already incorporated into the spread. Rolling Cash and Rolling Spot trades do not have an expiry date. They continue to "roll over" until the trade is closed. Overnight financing is typically charged to any positions still open at 10pm London time. With forex trades, the RIR is calculated as the funding rate of the second currency minus the funding rate of the first currency. E.g. with GBP/USD, the first currency is the pound and the second is the US dollar. So if the US rates were 0.1% and UK rates were 0.7% then the RIR for GPB/USD would be 0.1% - 0.7% = -0.6% (a negative differential). We use the following calculation for all rolling markets. "Unit Risk" - this is the smallest movement of the market that will change your profit/loss by the same amount as your stake. E.g. The following example is continued from our Benefits and Risks of Spread Betting page where an investor has bought our Lloyds Bank rolling cash market with a £100/penny stake and kept the trade open for 30 days. In this example the trade is opened at 140.1p and is closed at 199.9p. A £100 per penny buy of the Lloyds Bank rolling market which has a closing price of 170.10p would be equal to a market exposure of £17,010. i.e. £544.32 is the same as the annual cost of borrowing £17,010 at 3.2%. Therefore, for every day you are long of the stock, your spread betting account would be charged £1.49 for that night's funding. So if you held the trade for 30 days, and assuming the shares have an average closing price of 170.1p, you would be charged 30 x £1.49 = £44.70. At the moment, Interbank rates are very low and so for short positions we are charging the Applicable Interest Rate at 2.5% - RIR. So if you sold BP shares for £20 per penny, the Applicable Interest Rate would be 2.5% - LIBOR = 2.5% - 0.7% = 1.8%. If you held the trade for one night, and the market closed overnight at 447.90p, then your spread betting account would be charged £0.44 for overnight financing. A £2 per point buy of the UK 100 rolling cash market with a closing price of 6,500 would be equal to a market exposure of £13,000. i.e. £416 is the same as the annual cost of borrowing £13,000 at 3.2%. So if you held the trade open for one night, your spread betting account would be charged £1.14 for that night's funding. Let's say you buy the GBP/USD rolling spot market for £2 per $0.0001 move. With forex markets, the Relevant Interbank Rate is the funding rate of the second currency minus the funding rate of the first currency. Because you are buying the market, the Applicable Interest Rate = RIR + 2.5% = -0.6% + 2.5% = 1.9%. If you held the trade for one night, and the market closed overnight at $1.54512, then your spread betting account would be charged £1.61 for overnight financing. On the morning that a share goes ex-dividend, the share price will typically fall by the amount of the dividend. Therefore we make a 'Dividend Adjustment' for any rolling equity spread bets you hold at the close of business on the day before the share goes ex-dividend. If you are long of the market, your account will be credited with 90% of the dividend. If you are short of the market, your account will be debited by 100% of the dividend. Dividend adjustments apply to both individual shares and to stock indices like the UK 100. Any credits to/debits from your account take place on the ex-dividend date.